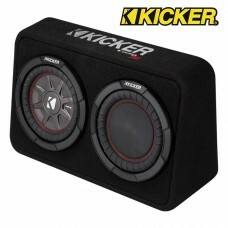 Brand NewKicker 40CWS124High Value, High PerformanceKICKER® continues to offer the greatest balance .. 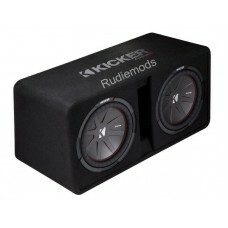 Brand NewKicker 40VCWS124The CompS 12-Inch Subwoofer Enclosure comes loaded with a single 4Ω termina.. Brand NewKicker 41KKP212Comp 12-Inch Subwoofer EnclosureThe 2016 Comp 12-Inch Subwoofer Enclosure co.. Brand NewKicker 41KKP412Comp 12-Inch Subwoofer EnclosureThe 2016 Comp 12-Inch Subwoofer Enclosure co.. 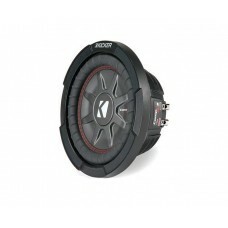 Brand New Kicker 43CWR124The CompR 12-Inch Subwoofer is a dual 4Ω voice coil design, making it .. 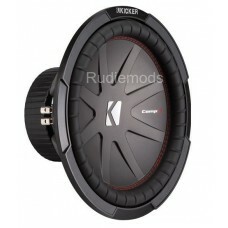 Brand NewKicker 43CWR154 15" Dual Voice Coil SubwooferThe all new CompR® sub is the very model of po.. 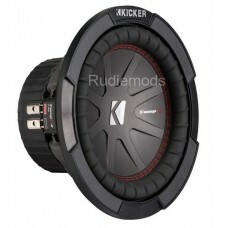 Brand NewKicker 43CWR84 8" Dual Voice Coil SubwooferThe all new CompR® sub is the very model of powe.. 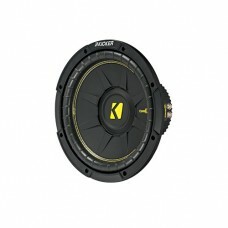 Brand NewKicker 43CWRT672 CompRT 6.75" Thin Profile Dual Voice Coil Car Audio Subwoofer6 3/4" CompRT.. 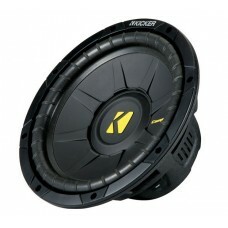 Brand NewKicker 43CWRT82 CompRT 8" Thin Profile Dual Voice Coil Car Audio Subwoofer8" CompRT 2 OhmTh.. Brand NewKicker 43DCWR122 CompR Dual 12" Subwoofer EnclosureThe new CompR® Subwoofer Enclosures make.. 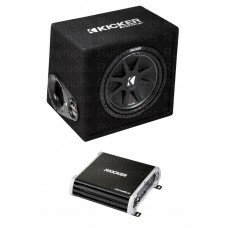 Brand NewKicker 43TCWRT104 Twin 10" Sealed Passive enclosure Bass Box - 400W RMS10" CompRT 4 Ohm Enc.. 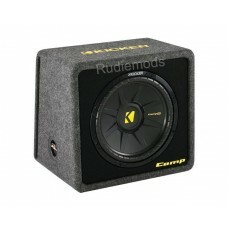 Brand New12" CompRT 4 Ohm EnclosureThe CompRT Thin Profile 12-Inch Subwoofer Enclosure comes loaded .. 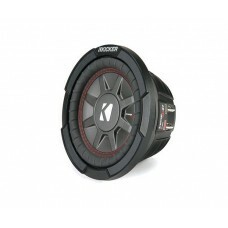 Brand NewKicker 44CWCD104 10" Car Audio Subwoofer Dual 4ohm Voice Coil - 300w RMS10" CompC 4 Ohm DVC.. Brand NewKicker 44CWCD124 12" Car Audio Subwoofer Dual 4ohm Voice Coil - 300w RMS12" CompC 4 Ohm DVC.. 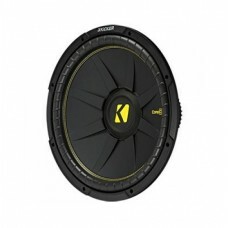 Brand NewKicker 44CWCD154 15" Car Audio Subwoofer Dual 4ohm Voice Coil - 600w RMS15" CompC 4 Ohm DVC..